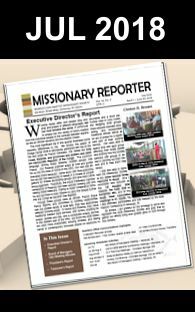 In the Sabbath Recorder, Dec 2012, the Missionary Society invited Seventh Day Baptists to partner with us in a “Missions Christmas Gift List”. Thank you to those who were able to donate. Our annual treasurer’s report for 2012 reveals that $11,497 was donated specifically for projects around the world, based on the Christmas gift-list. Once received, each gift was then directed to its missions’ field per the donor’s request. We are also happy to report that with this project several of our goals were met, including emergency relief for Guinea, starting two Youth Athletic Ministry programs, and funds to fully sponsor training for a Doctor in Malawi. Many of the needs shared are ongoing, so will continue to require our support in prayer and donations.